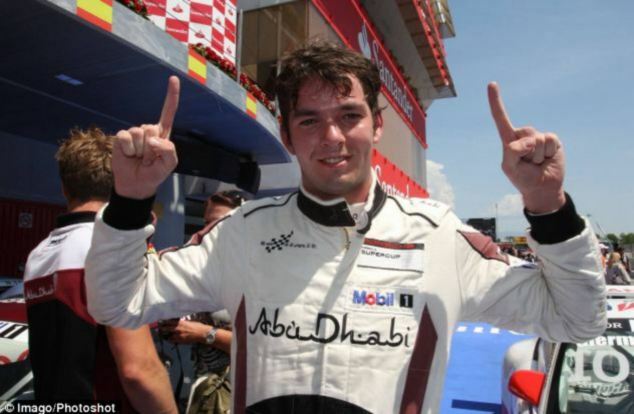 A second racing driver who starred in the hit Formula 1 film Rush has been killed in a car accident. 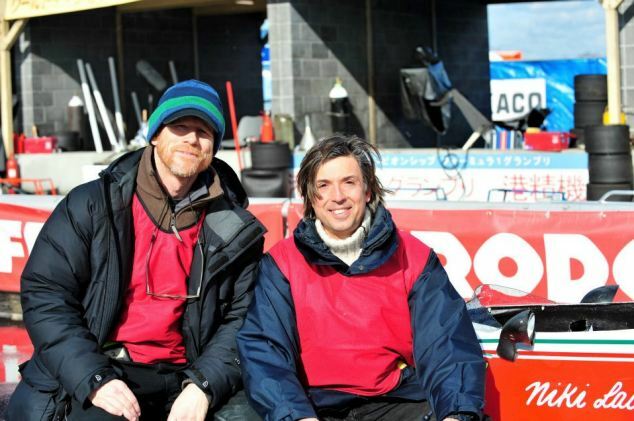 Mauro Pane, 50, who acted as a stunt double for actor Daniel Bruhl in the movie, was found dead in his car after it spun off the road and plunged into a canal. Police found the body of an unidentified woman in the car alongside Mr Pane when it was discovered in the stretch of water near Gambolo in northern Italy. 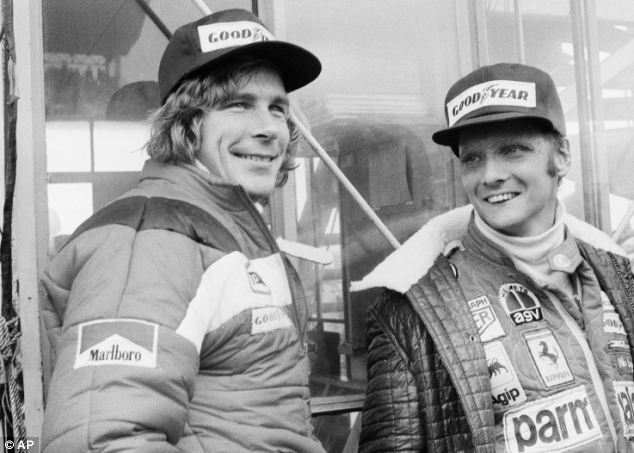 Italian Mr Pane shot several of the racing scenes in Rush, doubling for Mr Bruhl who played Austrian driver Niki Lauda. 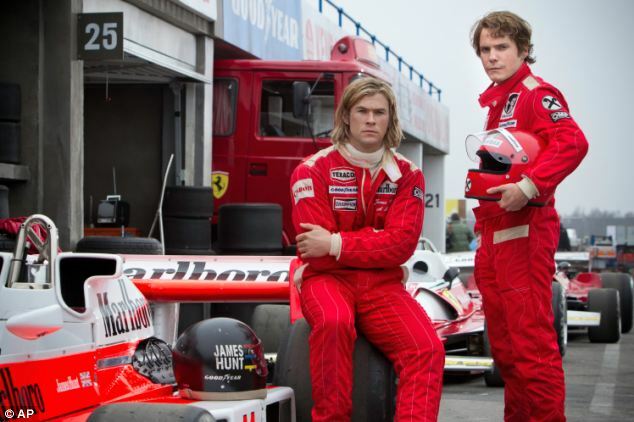 The 2013 film told the story of the rivalry between Lauda and flamboyant British driver James Hunt, played by Thor star Chris Hemsworth. 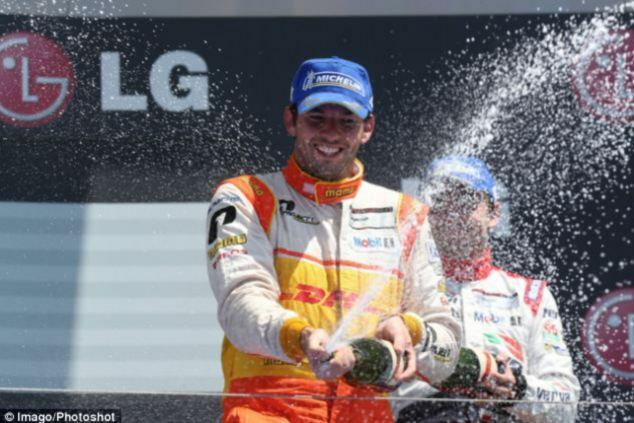 Mr Pane’s death comes just four months after Sean Edwards, a British driver who lived in Australia, died after a Porsche he was in burst into flames after hitting a wall in Brisbane. Mr Edwards played his father Guy, who famously pulled Lauda from the wreckage of his burning Ferrari following the Austrian’s near-fatal crash at the Nurburgring in 1976. Police in Pavia near Milan, said Mr Pane had been missing since Sunday and his white Renault Megane car was found late on Thursday in countryside near Gambolo, about 15 miles away from his home in Sannazzaro. He was last seen by his father after a family lunch, and he had said he was going to work at his garage for the rest of the day. However, when he failed to answer his phone the alarm was raised and a search began. Friends of Mr Pane said that he had been depressed since the death of his wife last year but had now started to ‘get back to his old self’ and was enjoying being back at his historic racing car business. In 2008 he had won the Historic Formula One Championship, driving a six-wheeled Tyrrell P34. ‘The car was spotted in the canal and when pulled from the water two bodies were found inside,’ said a police spokesman. ‘One is that of Mauro Pane and the second is that of a woman who has not yet been formally identified. ‘It looks like the car came off the road and went into the canal but the full cause is still being investigated and it is too early to say for sure. 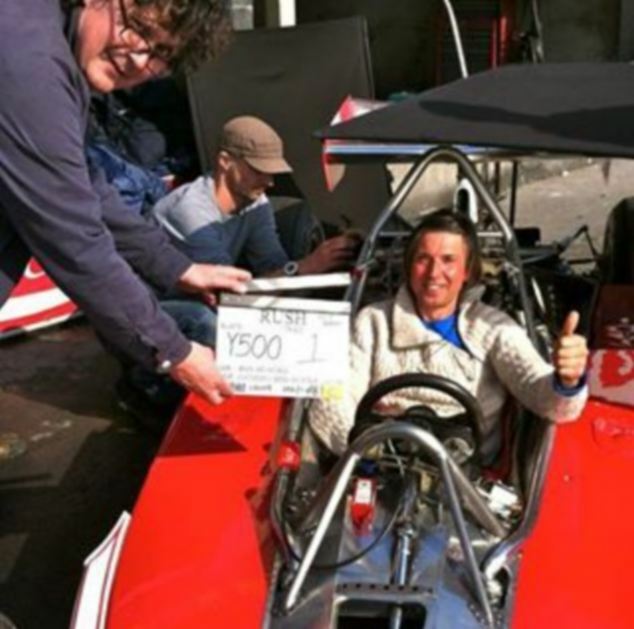 Some Italian media reports have speculated that the woman Mr Pane, who previously worked as a test driver for F1 team Minadi and was a 1986 Italian go kart champion, was with was a prostitute, however police were unable to confirm this. In October last year, Mr Edwards died in a crash on the final corner while giving a lesson on a track. The 26-year-old’s mother Daphne McKinley said after his death that she believed the car careered off the track because the throttle became jammed. Mr Edwards was a passenger in a Porsche when it hit a wall at Queensland Raceway in Willowbank, west of Brisbane. 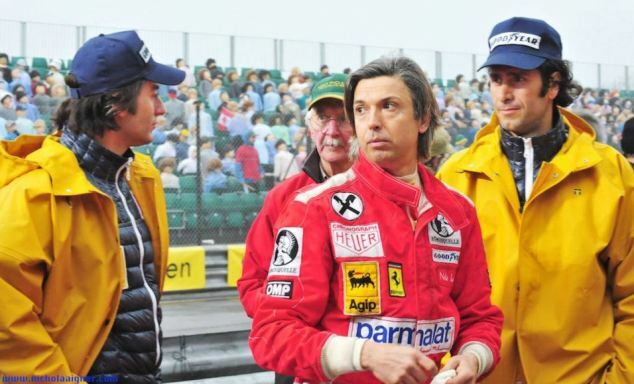 Rush, which was written by Peter Morgan and directed by Ron Howard, has been nominated for four awards at this weekend’s BAFTA film awards ceremony, including Best Supporting Actor for Mr Bruhl and Best British Film.